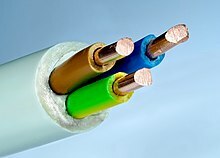 ↑ "Electrical Wiring FAQ (Part 2 of 2)Section - What is Romex/NM/NMD? What is BX? When should I use each?". faqs.org.